Although it has been touted for many years as a pending revolution in how IT and business services are delivered, only recently has “the cloud” been embraced broadly as part of business strategy. Initially, adoption of Software-as-a-Service (SaaS) was focused on front office functions such as sales, marketing, and customer service (e.g. SalesForce CRM and Zendesk). The adoption of such solutions represented the first wave of meaningful transition to the cloud. We are now seeing a second wave of transition that further realizes the full promise of “the cloud” touted many years ago. This new wave embraces the benefits of SaaS by driving it deeper into the organization and leveraging it to fuel transformation and strategy. As most business strategy revolves around growth, it is interesting to note that many of the fastest growing firms are either adopters of SaaS or are providers of SaaS solutions. The former is a testament to the effectiveness that leveraging SaaS offers. The latter is a testament to the rate of adoption SaaS solutions enjoy. As the benefits are substantial, I thought it useful to review how SaaS supports the organization striving for growth. These benefits fall into three primary categories: agility, cost, and scalability. When software solutions are hosted in-house, businesses have to build costly IT infrastructures (both systems and people) to provide for their functionality. This involves IT specialists to develop, test, host and maintain the applications as well as procuring requisite hardware. The process of acquiring gear and developing and configuring software is very time-consuming and even distracting. To compound matters, such in-house infrastructures are inflexible and difficult to change. For organizations using the in-house model, this can be a major pain point. Often in these circumstances, the focus shifts to the difficulties involved in developing systems (as opposed to solving business problems) and we lose site of the end goal: supporting the core operation of the organization. This is a major blow to both agility and momentum for an organization seeking rapid, value-generating change. 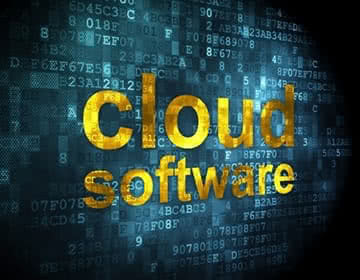 By contrast, software solutions offered via the cloud avoid the problems of the traditional, on-premise approach. In the SaaS model, the solution vendor provides the infrastructure and resources necessary to support the application and its evolution. The dependency on an IT-centric solution is avoided. As a result of supporting varied needs of the SaaS customer, the successful SaaS vendor provides a flexible, customizable solution based on common functionality and best practices, delivered in a multi-tenant model. Again, the vendor assumes responsibility for flexibility and cost-to-change. This all lends itself to a solution that is rapid to deploy, easy to upgrade, and is flexible to support the organization and its changing needs. Ideally, the SaaS solution can be 100% business-owned while avoiding the involvement and resource constraints of IT departments. The web-based nature of cloud solutions means the application is available anywhere at any time. This is helpful when there is a need to offer the application globally either as a part of re-homing the functionality or spreading the functionality across a geographically diverse organization. The ability to access the functionality to this extent could be quite expensive in traditionally in-house environments. Owing to the ubiquity of web applications, SaaS solutions benefit from very high adoption rates. Today more than ever the best of them typically have very intuitive user experiences and reduced learning curves. Those factors dramatically improve adoption and successful change in business process. Finally, the agility inherent to SaaS solutions benefits the solution evaluation process. Both the key business functionality and solution agility can be quickly proven with rapid prototyping and proofs-of-concept (POC). SaaS solutions offer advantages that both directly and indirectly result in lower costs to the business. Needless to say, the infrastructure necessary to operate the in-house model can be very costly. Cloud-based SaaS solutions avoid those costs completely. The vendor takes on all those responsibilities while their customer still accesses the functionality. With that change in responsibility, there is now an opportunity to divest of such infrastructures and supporting resources – or at least move in such a direction. A SaaS solution model can have a dramatic effect on reducing total cost of ownership (TCO) for business solutions. This also paves the way for transformation to a business-centric organization as opposed to those who struggle with IT-involved change. SaaS solutions are often subscription-based. They are typically very cost-effective and most do not carry up-front license fees. This lowers initial costs. Furthermore, subscription-based services allow costs to fall against operating expenses (OpEx) and need not create demand as capital expenditures (CapEx). This can be significant when planning budget utilization and funding scenarios. We had already touched on the relatively inert nature of in-house infrastructures. When needing to grow the solution – in terms of transaction volume, expanded user-base, geographic reach, and performance – in-house solutions can be seriously challenged. Changing any aspect of the “as-is” with new requirements related to scale can require the same lengthy and costly development process. This is a major impediment to addressing business growth with complimentary growth in system capabilities. In contrast, SaaS solutions can be scaled on-demand. Need more users, more transactions, more speed? Your SaaS vendor will be able to respond very quickly to provision these enhancements. In summary, the nature of SaaS solutions helps organizations embracing growth and strategy by eliminating common problems found in traditional IT-centered, self-hosted environments. Businesses can employ Software-As-A-Service solutions to help support an increased speed of change, better efficiency of investment and future-proof scalability – all elements that are fundamental to business strategy and currently embraced by fast-growing and successful organizations. When it comes to account reconciliation software and financial control systems, SaaS can be a useful way for businesses to gain agility, cost savings and scalability, quickly employing systems that help increase staff efficiency and accuracy while decreasing time spent on important, but tedious, tasks. Jeremy Shanahan is ReconArt’s Vice President of Business Solutions. He is responsible for product strategy and coordinating product delivery for the global ReconArt organization. Jeremy has over 25 years of experience in enterprise architecture, software design and implementation of global, financial-focused software technology solutions.